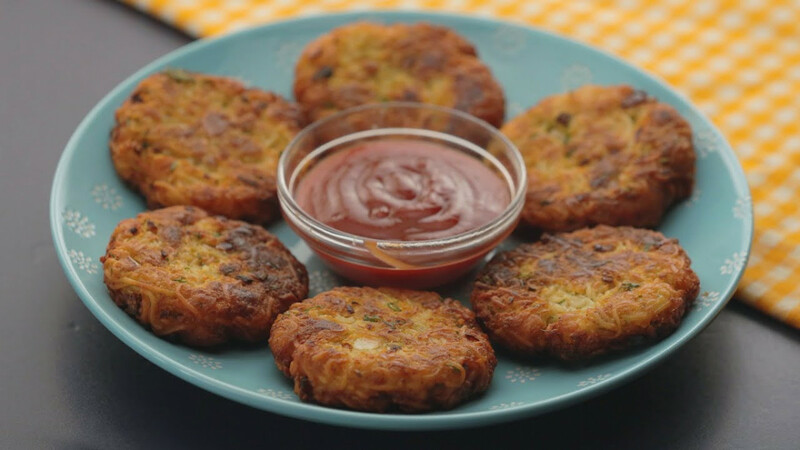 #MeriMaggi: Here's An Unique Recipe To Make Masala Tikki From Maggi!! Maggi is probably one the best thing ever happened to India. It is loved by entire nation all across the country. Even bans could not stop people from satisfying their cravings for Maggi. It might not be the most healthiest thing to eat but it is definitely a must have. Maggi is available in one simple form but like true Indians, most us have invented our own way of preparing and eating Maggi. You can make Maggi with vegetables, cheesy Maggi, Italian Maggi, even Maggi pakora and Maggi samosas, but one of the most way to eat Maggi is by making Maggi Masala Tikki. Have you faced the dilemma of having prepared Maggi more than you can eat and then thinking about what to do with the leftover?! You cannot keep cooked Maggi for long, who likes to eat cluster of cold noodles? But it is as bad as heart break when you realise that there is no other option left other than disposing the left over. Well to save you from this major food heart break we decided to share with you the recipe of amazing Maggi Masala Tikki. 1) In a big bowl mash your boiled potatoes and mix them with leftover Maggi. 2) Add chopped onion, coriander and mashed boiled carrots to the mixture. 3) Now add chaat masala, salt and ginger-garlic paste into the mixture. 4) Mix well and make small tikkis out of it. 5) Pour oil in the pan and allow the pan to heat. 6) Once the pan is hot enough, shallow fry all your tikkis. Serve the tikkis with ketchup or sauce of your choice and enjoy. Enjoy your Maggi Masala Tikki and you will definitely thank us later.